Doctor Who: Companion Pieces - LIZ SHAW | Warped Factor - Words in the Key of Geek. Matthew Kresal pays tribute to the Third Doctor's companion Liz Shaw. For fans, 1970 will forever be remembered as the year that Doctor Who went into color and brought a new Doctor with it. Yet it was also a year that saw much more being introduced to the series, from new iconic villains to the new Earthbound format. It was also the year that introduced one of the most underrated and unique companions to ever appear at the Doctor's side: Caroline John's Doctor Elizabeth “Liz” Shaw. 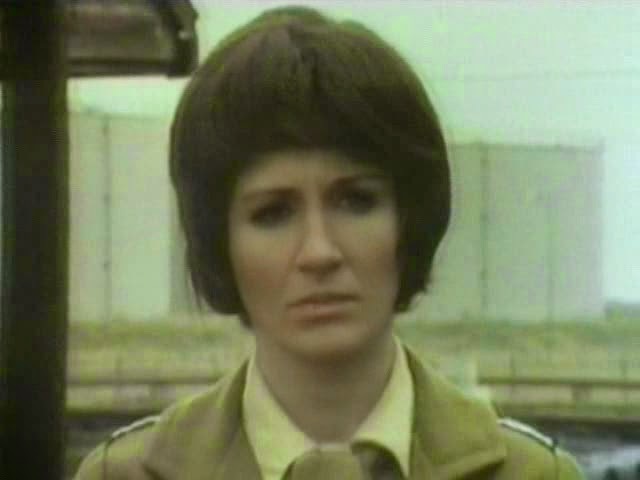 Within just a few minutes of the first episode of Spearhead From Space it's clear that Liz Shaw would be different from the female companions that had featured more recently in the series. Liz was quickly introduced as a Cambridge educated scientist, which alone made her standout from the crowd even before she was revealed to be a bit of a polymath with expertise in meteorites and degrees in over a dozen different subjects. That was a fact made even more interesting because, at the same time, she didn't want to be there. Here we were being presented with a companion being essentially drafted into serving with UNIT. For the first time since Ian and Barbara at the show's beginning, the series presented us with a reluctant companion. Or at least a companion reluctant to work with UNIT. Throw the Doctor into the equation and it's a different story, though it's interesting to note that for the first half of the story, it's Liz rather than the Doctor who is UNIT's scientific adviser as UNIT tries to deal with the meteorite impact that heralds the later Auton invasion. Indeed one of the joys of Spearhead From Space is watching her clashes, almost playfully at times, with authority figures such as the Brigadier or General Scobbie who dismisses her before Liz can get her own back on him. Yet even once the Doctor appears, Liz is firmly established as one of the leads. She finds herself going out into the field, getting involved with what she describes as “security work”, helping UNIT investigate the plastics factory, and she travels with the Doctor to Madame Tussauds in episode four. It's Liz in the end that's able, with the Doctor being strangled by the Octopus-like manifestation of the Nestene Consciousness, to fix the Doctor's device and save the day. It's a strong introduction to say the least. Yet from there, as one production team exited and another took over, Liz began to be watered down as a character. There's already traces of it in the next story, Doctor Who And the Silurians, as we the Doctor telling her on at least a couple of occasions to do what the Brigadier tells her. Yet Liz is still recognizably the same character and even gets to act as something of a foil for the Doctor, convincing him to go to the research station to begin with or essentially blackmailing him into going down to the Silurians base in that story's fourth episode. While her clashes with the Brigadier might be toned down, Liz still has plenty of moments where she gets to stand up to those around her including Major Baker and Doctor Lawrence at different points throughout the story. And yet again, it's Liz that is able to take the Doctor's work and use it to save the day by deducing which of the Doctor's formulas cures the Silurian plague, and by helping carry out his plan towards the end of the story. A companion being able to do that, the former especially, is only credible when you have a character such as a scientist like Liz who can believably know the difference between one formula and another. Where the character fares less well is in Ambassadors Of Death. Perhaps because of the way the story was written (in an almost cobbled together form via a plot by David Whitaker with the script being written largely by Malcolm Hulke thereafter), Liz is short changed at the expense of the Doctor and Brigadier. Liz spends much of the story being captured, escaping, re-captured and repeating that up until the end of the story. The fact that the most memorable Liz moments from that story is the chase sequence in episode three probably says more about Liz's lack of involvement in the story than anything else. Perhaps rectifying that to a certain extent is the story that could be argued to be not only the best story or the season but (as I argued in a piece here last year) the best story of the entire Pertwee era: Inferno. Liz has settled in with UNIT by this time and is working alongside the Doctor as he attempts to repair the TARDIS console. While this does leave Liz in a subsidiary role in the early parts of Inferno, that fact quickly changes when the story does what it's best remembered for - when the Doctor finds himself in a parallel universe. 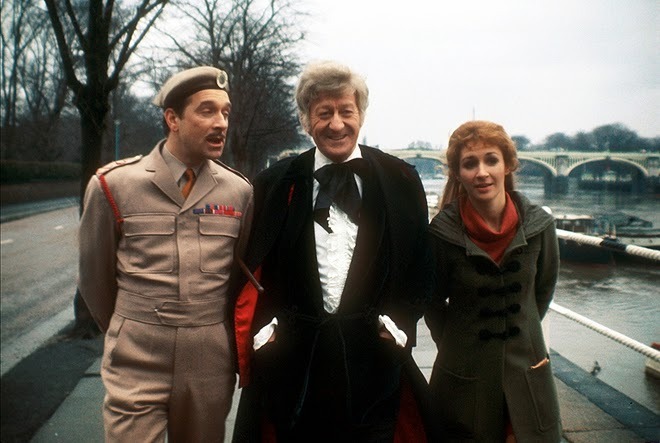 The fascist parallel universe was an opportunity for the entire UNIT supporting cast to do something different and all of them seized the chance to do so, with Nicholas Courtney's Brigadier being perhaps the prime example. Yet the Liz Shaw we meet in the parallel world is quite different from her “normal” self: she's military rather than a scientist and to a certain extent amoral when we first meet her. Yet her interactions with the Doctor seem to awaken something inside this Liz that sees her going from amoral Section Leader in the Republican Security Forces to being the woman who will ultimately decide to sacrifice her life for the chance to save a world she'll never know. 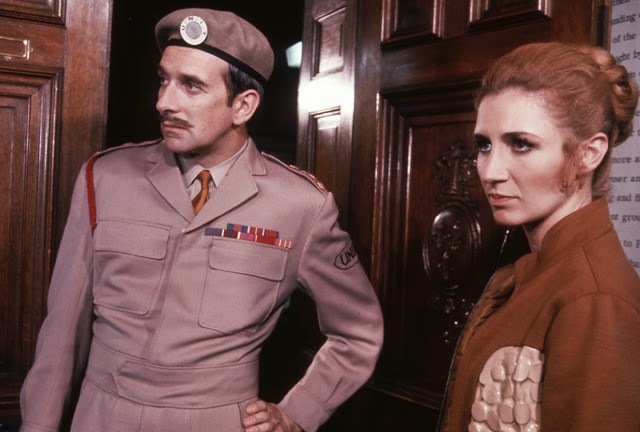 Across the four episodes set on the parallel world, Caroline John presents us with perhaps her finest onscreen Who performance with an interesting alternative version of the character that has helped to make Inferno a must-see story for generations of fans. Yet Inferno would be the last time viewers would get to see Liz. 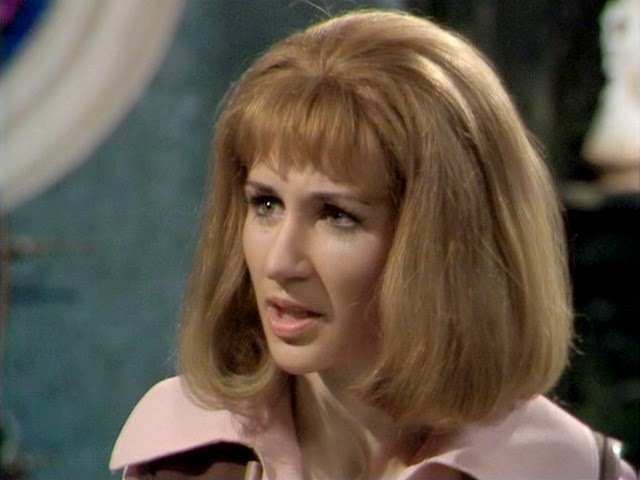 Circumstances involving both the production team's unhappiness with the character and Caroline John's becoming pregnant meant that when Doctor Who returned to screens at the beginning of 1971, Liz wouldn't be around. Indeed Liz would be one of the few companions who would never receive an on-screen exit, just a mention that she'd gone back to Cambridge and a wonderful quote related by the Brigadier (one that, incidentally, she never actually said though it is perfectly in character). 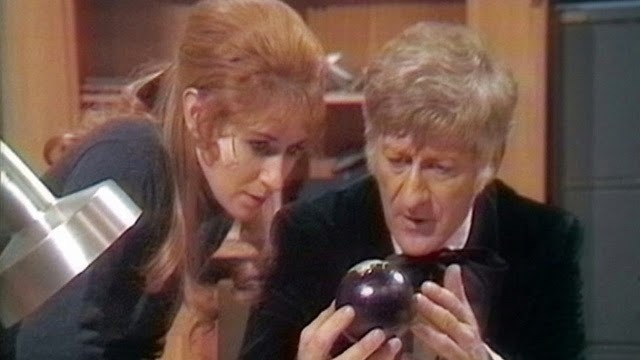 Outside of cameo appearances in The Five Doctors and the ill-regarded Dimensions In Time, Liz Shaw seemed to be destined to linger in obscurity. Yet the Wilderness Years, and a reevaluation of the Pertwee era in the 1990s, saw the character being seen in a new light. Caroline John herself returned to the role in the PROBE series of spin-off videos written by future Doctor Who and Sherlock writer Mark Gatiss which saw her working with a UNIT like organization investigating a number of strange phenomenon. Meanwhile, the character was also experiencing something of a renaissance in the various novel ranges, with two of the Virgin Missing Adventures being set between Inferno and Terror Of The Autons and the latter novel, the recently reprinted Scales Of Injustice, finally giving the character what she had never gotten onscreen: a proper exit via a wonderfully written scene by writer Gary Russell. Over in the New Adventures range, an alternative Liz is seen working alongside UNIT on a Silurian ruled Earth in the novel Blood Heat, while Eternity Weeps would present the character's demise as a victim of a terraforming virus that devastates much of Earth in 2003 (!). Once the BBC took back the book license in the middle of the decade, another version of Liz's exit would be seen in the novel The Devil Goblins From Neptune, plus Liz would finally get to take a journey in the TARDIS to pre-revolution Russia alongside Jo Grant in the The Wages Of Sin. It was with Big Finish's Companion Chronicles range that it feels like Caroline John, and Liz, really came back. Starting with The Blue Tooth in 2007, Liz would feature in five stories from the range that saw her taking part in the third Doctor's encounter with the Cybermen to being trapped with an alien computer in the 2012 story Binary. The latter story is of special note because of the fact that it's effectively a three-handed drama rather than being in perhaps the more traditional “tale related by companion” format that the range mainly used. The highlight of the Liz Shaw Companion Chronicles though has to be The Last Post. 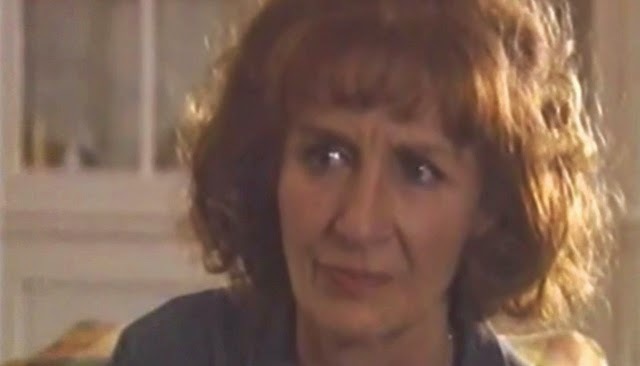 For a character sometimes seen as having been ill-developed on TV beyond her initial introduction, Liz was greatly expanded upon in this single release. The Last Post is told in a series of meetings, conversations and letters between Liz and her mother, Dame Emily Shaw (played by Rowena Cooper) in-between the events of her sole TV season. 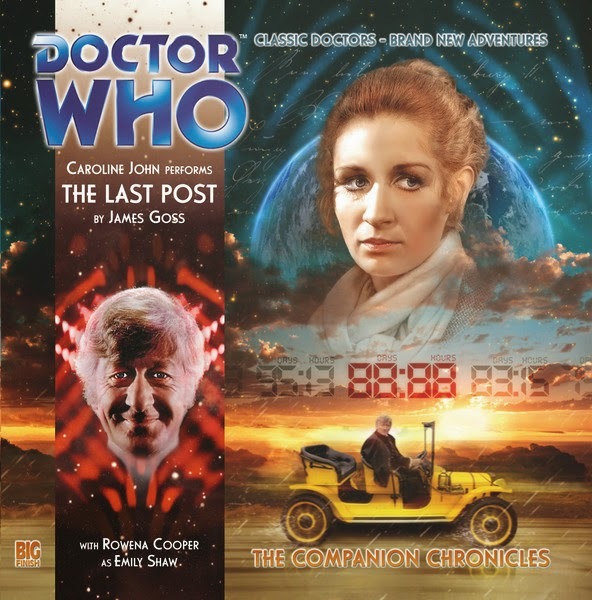 It's a story that's one part tribute to the early Pertwee era as well as being a story showcasing Caroline John's skills as an actress, with her interactions with Cooper being a sheer joy to listen to. Not only that but, due to the events of the story, it also sees Liz being put front and center, facing down the big threat and proclaiming “My name is Liz Shaw and I've come to stop the end of the world!”, before doing just that. Indeed, it was so successful that a sequel was already commissioned by the time of John's passing in mid-2012 with The Last Post being a fine (though of course entirely unintended) tribute to both character and actress alike. Across four TV stories, novels and audios Liz Shaw and the actress who played her left their mark on Doctor Who. They presented us with a mature and intelligent type of companion, a scientist in her own right that was markedly different from virtually all who came either before or after her. Liz also stands out then not only as one of the unique companions but also one that shows just why fans shouldn't ignore so-called “spin-off media”, as those novels and audios not only fleshed out her character but also gave her the exit she so richly deserved but never received on TV. She stands as an example of not only what a companion can be but also how their legacy can be shaped by the very fans they inspired.